William McDonough is a globally recognized leader in sustainable development. An architect, designer, thought leader and advisor, Mr. McDonough’s interests and influence range widely and he works at all scales. Mr. McDonough has written and lectured extensively on design as the first signal of human intention. He was commissioned in 1991 to write The Hannover Principles: Design for Sustainability for the City of Hannover’s EXPO 2000. In 2002, McDonough and the German chemist Dr. Michael Braungart co-authored Cradle to Cradle: Remaking the Way We Make Things, which is widely acknowledged as a seminal text of the sustainability movement. Their latest book, The Upcycle: Beyond Sustainability–Designing for Abundance, was released in April 2013. Mr. McDonough is active with MBDC and also advises commercial and governmental leaders through McDonough Innovation and leads William McDonough + Partners, his architecture practice. To allow public accessibility to Cradle to Cradle thinking and create a global standard for the development of safe and healthy products, William McDonough and Michael Braungart founded the non-profit Cradle to Cradle Products Innovation Institute in 2009. 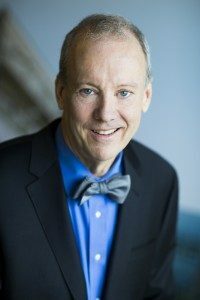 Time magazine recognized William McDonough in 1999 as a “Hero for the Planet.” In 1996, Mr. McDonough received the Presidential Award for Sustainable Development, and in 2003 he earned the first U.S. EPA Presidential Green Chemistry Challenge Award. In 2004, he received the National Design Award for achievement in the field of environmental design. In July 2014, Mr. McDonough was appointed as Chair of the World Economic Forum Meta-Council on Circular Economy.